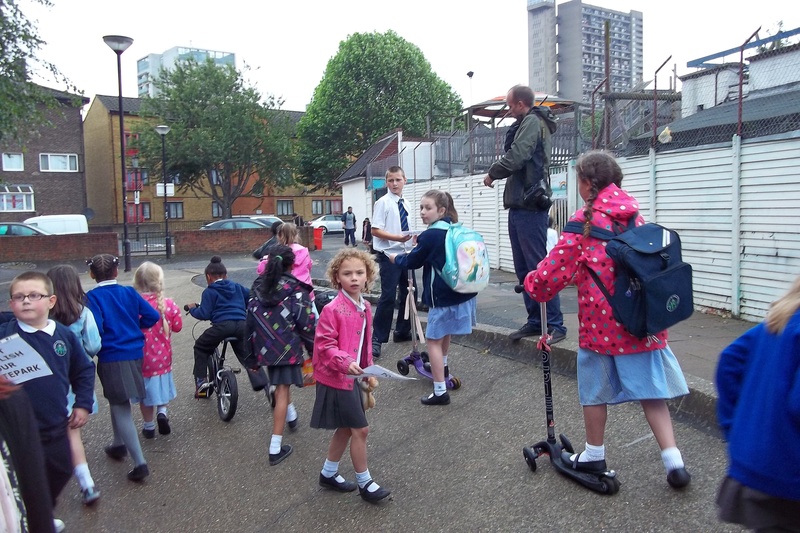 Residents of a North Kensington estate are furious as Kensington and Chelsea Council has refused to intervene to protect a popular children’s skate-park from demolition. Wornington Green estate, currently undergoing an unwanted re-development, has already lost precious play-space since the Council gave the developers – Catalyst Housing Group – permission to build on half the local park. This latest outrage – which came without warning or consultation – will see the skate-park replaced with Portacabins right at the start of the summer holidays. At the same time as spending £1 million on a nine-day party in Exhibition Road to celebrate the Olympics, the Council is presiding over the loss of sporting facilities for under-privileged children just when they are most needed. As demolishing the skate-park without providing replacement facilities is not part of the approved construction plan, the Council could have intervened to save it. “It would be disgraceful to demolish a children’s playground at any time; to do so just before the summer holidays is an outrage. The irony of destroying sporting facilities for young people in the opening week of the Olympics makes this doubly sickening. The Council is spending £1 million on a nine-day booze-fuelled bender for tourists in Exhibition Road, but turning its back on poorer residents. hey, and they give off oxygen !! Sorry have been away and have just seen this incredibly moving film. We will circulate it far and wide. Many many thanks D.
I was just reading that very article D, very apposite. they wonder why they make people’s stomachs heave ! Ha! The Medicis, they are NOT.